Mr. Armstrong has developed a practice in the areas of major commercial litigation, including securities fraud and other shareholder and breach of fiduciary duty claims, oil and gas, intellectual property, employment, and general contract litigation. He has represented clients in major class actions and False Claims Act cases. 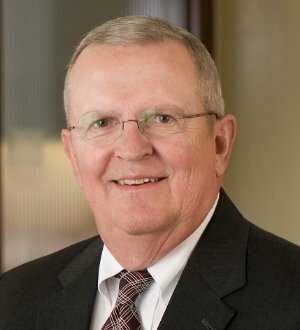 Mr. Armstrong enjoys Martindale-Hubbell Law Directory’s highest "AV" rating for lawyers and is listed in The Best Lawyers in America®, Missouri & Kansas Super Lawyers®, and Chambers USA as a leading general commercial litigation attorney in the United States. In 2013, he was named the Wichita Bet-the-Company Litigation Lawyer of the Year by The Best Lawyers in America®. His peer memberships include the Kansas Association of Defense Counsel.